When choosing a concealer, pick one with pink or peach tones, even if your skin is yellow or neutral toned. The MAC instructor at the seminar informed my class that 99% of the population should wear a NW color for their under-eye concealer. She said that even if you normally wear NC foundation, you should choose a NW concealer because layering yellow-toned concealers over dark circles can create a grayish color. MAC’s system of labeling is different than most makeup lines. 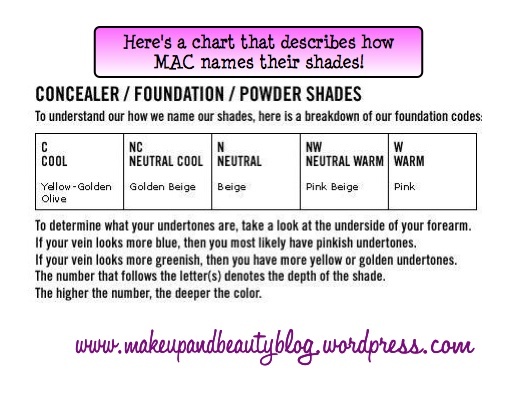 They base their system on the color wheel, so what you may normally think of as cool tones (pinks) and warm tones (yellows) are labeled differently in their foundation, concealer and powder lines. MAC foundations, concealers and powders with the NC label stand for neutral cool and are for girls — or boys — with yellow undertones in their skin. Products labeled NW are neutral warm for those with pink tones. I have some serious dark circles so I never leave the house without concealer on. 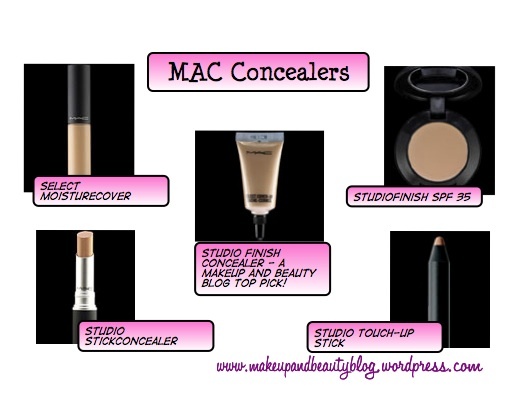 I like to rotate between several brands including MAC’s Select Cover-Up concealer. It’s a liquid concealer that comes in a nice tube. Because I have oily skin, I don’t like cream or stick concealers – they feel heavy and tend to just slide off. 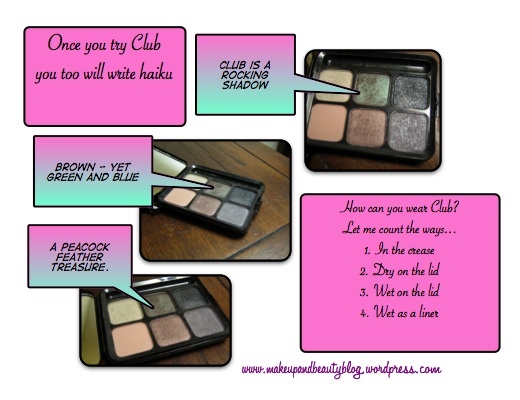 I mix Select Cover-Up with MAC’s Fast Response Eye Cream before applying it underneath and in the inner corners of my eyes with the 217 Blending Brush. This Friday (my day off, woo-hoo!) I’m going to stop by the counter and pick up a NW concealer color. I’ll report afterwards if it makes my dreaded under-eye circles less grey.